Talking Diversity – taking in the flavours of different cultures. 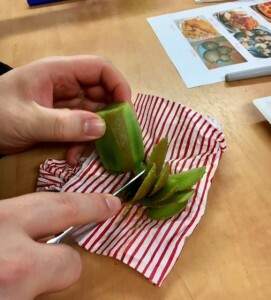 Home / Social Inclusion / Health and Wellbeing / Talking Diversity – taking in the flavours of different cultures. ‘On Tuesday the 17th Jan. 2017 the Durham FIT KIT group had a chance to discuss the importance of diversity and integration of different cultures in contemporary England. During a session everyone who attended could express their views on multi-cultural communities and what advantages it has to local people, such as the chance of enriching our cuisine! Everyone participated in a group discussion and the importance of respecting other cultures and acknowledging the existence of other nationals within our group, as it happens we had English, Scottish and Polish representatives during this session. 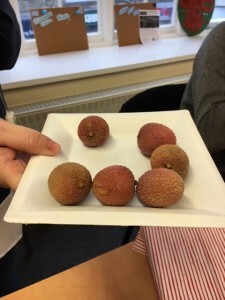 Today, we presented to our customers popular groceries such as; mango, avocado, kiwi, olives and less known to our customers, such as; hummus and lychees –nobody liked them! !,,,and they were guessing from which country the food originally came from and we tried to present how it can be linked to diversity in our community. Our customers made a comment that some of the food they have never tried before but really liked it, apart from lychees,,,,,oh those lychees!!!!! 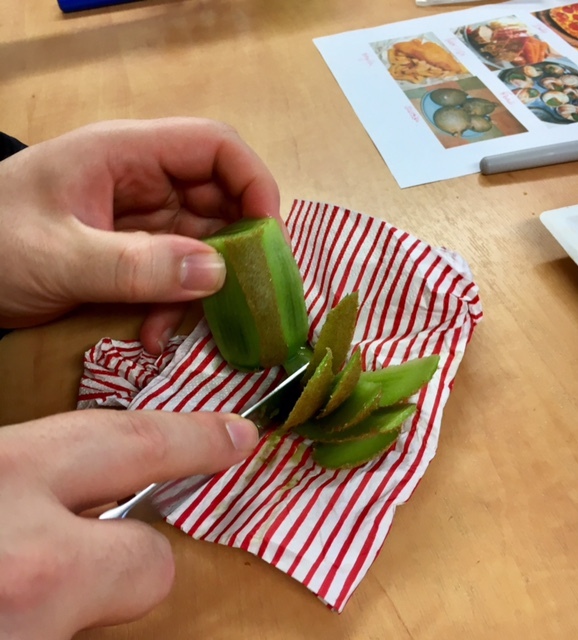 During a tasting, everyone was encouraged to take part in a quiz and name a food starting with a certain letter of alphabet. Have you learned anything new?-I have, don’t buy any lychees…yuk! How you learned anything new?-Yes, where different food comes from and tasting different food.